You might think of succotash as a dish served in the fall, but don’t put it on the back burner because it’s summer. Pick your favorite seasonal veggies to add to the mix for this fab side dish. What’s better than fresh summer veggies? 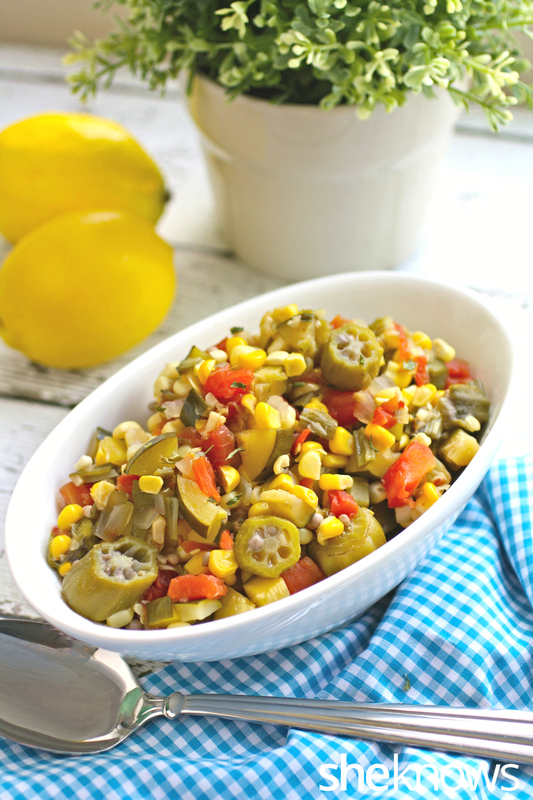 This slow cooker recipe for summer vegetable succotash is heaped with them, and you’ll love the fresh flavors in this healthy dish that’s perfect for a cookout or to serve as a side at dinner. You can pick your favorite veggies to add to the mix, but staples for succotash are corn and usually some sort of grain or legume. 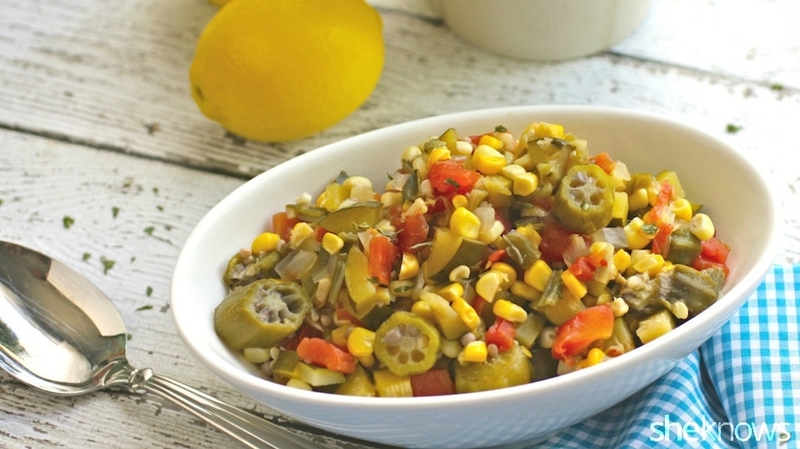 I added corn, zucchini — another super summer veggie — and okra along with simple yet flavorful seasonings. Top things off just before serving with a mix of fresh lemon juice, hot sauce and parsley. You’ll love all the flavors and colors! This dish is a breeze to make thanks in part to the slow cooker, and it’s easily adaptable to include your favorite summer vegetables. Beans are certainly a good choice, and so are peppers or even eggplant. Serve this instead of salad this summer or as a side at your next barbecue. 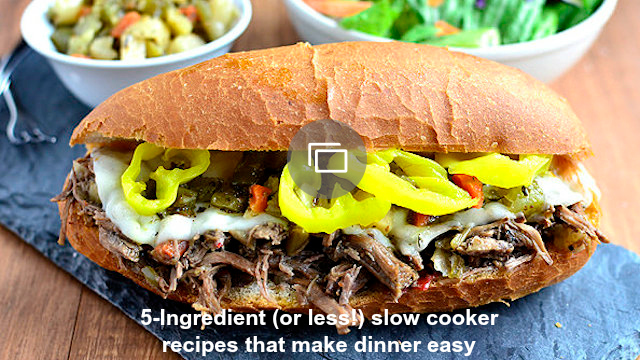 Set the slow cooker to low heat. Add the tomatoes, their juice and the vegetable broth. Add the corn, zucchini, okra, onion and garlic over the liquid. Sprinkle on the salt, black pepper and red pepper flakes. Stir to combine. Cover with the lid, and cook for about 4 hours on low heat. 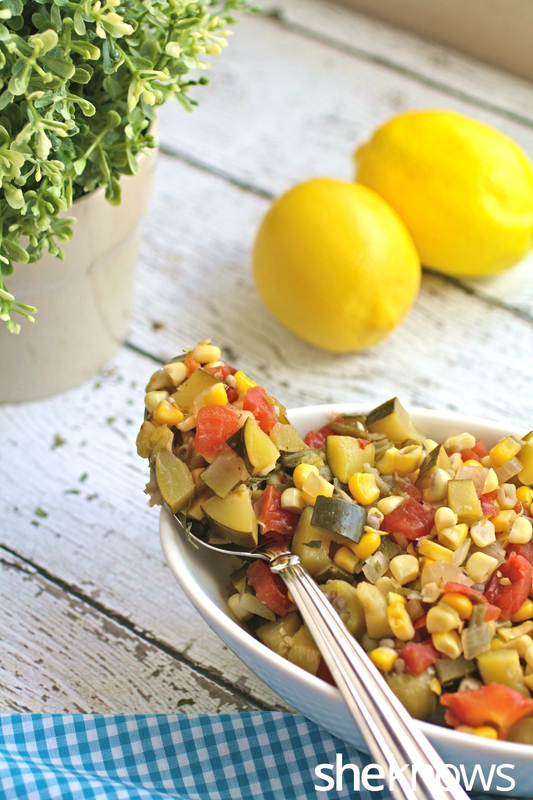 Prior to serving the succotash, whisk together the lemon juice and hot sauce. Add in the parsley, and stir to combine. When the succotash has finished cooking, drizzle the lemon juice mixture over it, stir, and serve in individual bowls.